TAKE ACTION TO END SOLITARY CONFINEMENT! Right now, across the United States, tens of thousands of people are being tortured. Holding a human being in isolation for 20 or more hours a day for weeks, months, years, or decades is state sanctioned torture. According to our survey report, Coming Out of Concrete Closets, 85% of our members have been held in solitary confinement at some point during their incarceration. Nearly half of them served 2 years or more in solitary. At the time of the survey Black and Latinx respondents were twice as likely to be in solitary then white respondents. The time to end solitary confinement is NOW! 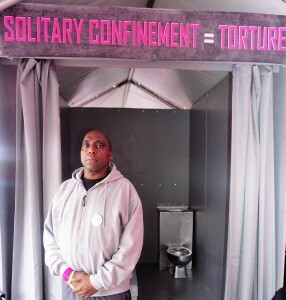 Black and Pink is working on campaigns to reduce and abolish the use of solitary confinement in Illinois, Rhode Island, and Massachusetts. 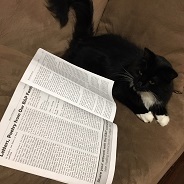 We are also supporting efforts on the federal level as well. We want YOU to get involved! Our national end solitary confinement working group has two teams that are in need of more members. Our research team is building a tool kit for how to win campaigns against solitary confinement in local prisons and on the state level. This team is looking into efforts that are happening in each state and keeping up-to-date on information coming from Solitary Watch and the ACLU. Our inside communication team also welcomes new people to jump on board. 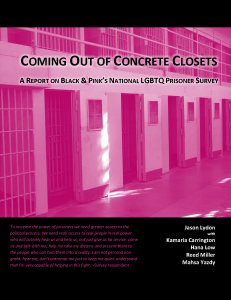 This team is focused on communicating with Black and Pink prisoner members about strategies for moving campaigns forward and making sure there are prisoner stories included in all of the public work. 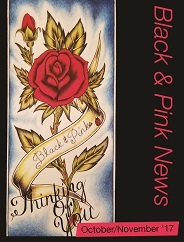 If you want to join, send an email to members@blackandpink.org. Are you part of a community center or a religious congregation? Do you like to have friends over for dinner? Get a group of folks together to watch any of these videos about solitary confinement. After watching the videos take a moment to write letters to people currently in solitary confinement. You can get a list of names and addresses by contacting us.